Problem. Get rid of what’s redundant, add what’s missing, find the best design. 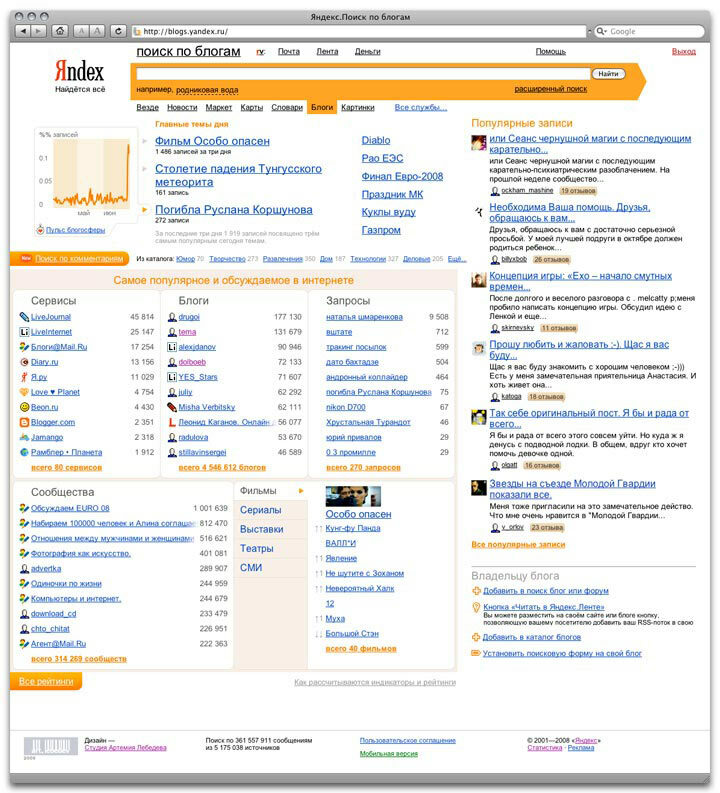 New version of Yandex Blogs shows numerous today’s topics and the so-called “blogosphere pulse,” but no longer features the category cloud.